Staff and Taylor view the new THDA repairs. We are so proud to be part of this program making homes safe and and efficient for local people! For years, Heidi Taylor had to park her car at the bottom of a steep, curved driveway and walk up the hill to her home. 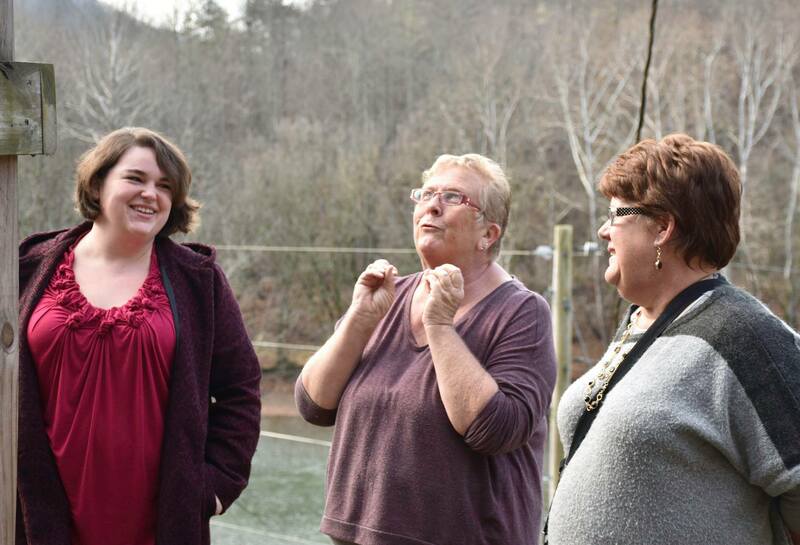 Those muddy, and sometimes dangerous, walks are now a thing of the past thanks to the work of Clinch-Powell Resource Conservation and Development and a new program from the Tennessee Housing Development Agency. Taylor's home, located in Eidson, Tenn., is the first to be repaired under THDA's Appalachian Renovation Loan Program (ARLP). THDA staff traveled to Hancock County this week to visit Taylor and view the new repairs.